Becky Martinez is an Emmy award-winning former broadcast journalist who currently writes fiction as well as non-fiction books on writing. Her non-fiction books include the Let’s Write a Story series, which focuses on creating great characters, different ways to plot and how to develop great villains. She also regularly teaches writing classes and presents workshops on writing. She has appeared at the RWA National Conference, the Emerald Cities Writers’ Conference, the Rocky Mountain Fiction Writers’ Conference and Rom-Con. 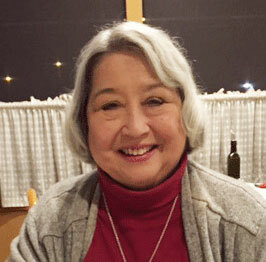 She writes fiction for the Wild Rose Press, including a romantic suspense series set in New Mexico as Rebecca Grace and her fictional short stories have appeared in several anthologies including The Trouble with Romance, which was a New Mexico Book Award finalist.